Last week was a busy week for lambs. Not only did we deliver last spring’s lambs to the butcher, the first lamb of this season arrived on the farm two months early. Hopefully this is just an anomaly. 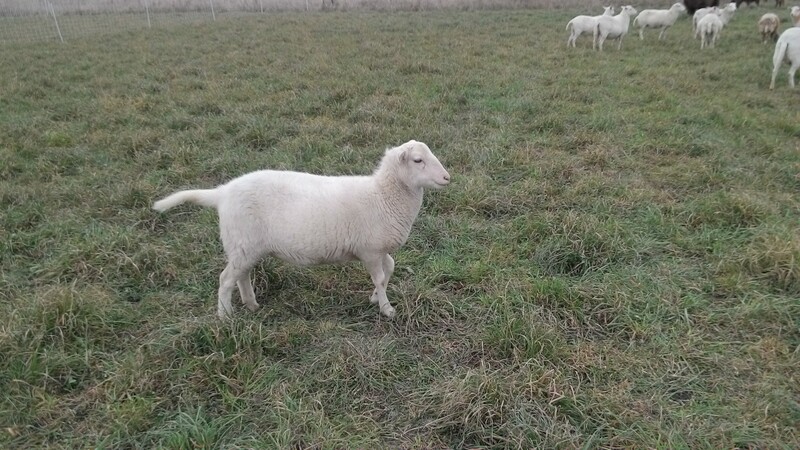 It’s hard to tell since we don’t separate the ram from the ewes during the summer so we don’t really know when the ewes become pregnant. If we continue to start getting lambs too early, that is a practice we might have to change. 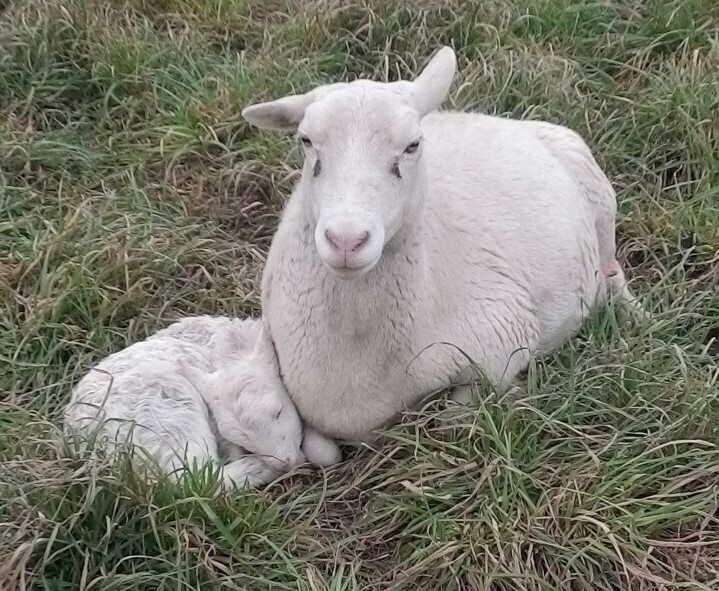 So this week, we have a picture of the new lamb sleeping with her mama and to reminisce, a “all grown-up” picture of Bambi, our bottle and school lamb from last spring. This week, Farmer Paul and Farmer Betsy are in Springfield, Illinois for the annual Acres USA conference. Young Farmers Sid and Amy are taking care of the animals for a couple of days. They will also be at the Farm to Fork Market at Normandy Farms this Saturday, December 14. Don’t forget to plan for your Christmas dinner. We only have five hams remaining. We will have plenty of other pastured pork and plenty of pastured whole chickens though. Betsy’s Kitchen will be on hiatus this week. The Farm to Fork Market will also be hosting Santa this week and next and will have Christmas music and artisan vendors to supply your Christmas gifts. As always, we also sell all of our grass-fed meats at the farm.